Previous research has shown that perceived responsiveness benefits psychological and relationship well-being. Perceived responsiveness is, at least partly, a function of how responsiveness the partner intended to be during the interaction. Relatively little is known about what factors make people intend to be more or less responsive to their partners. In two studies, we examined whether individuals’ experienced emotion and underlying relationship goals were linked to their intended responsiveness. Across two studies, both experienced positive emotion and approach goals predicted higher intended responsiveness, whereas experienced negative emotions predicted lower intended responsiveness. 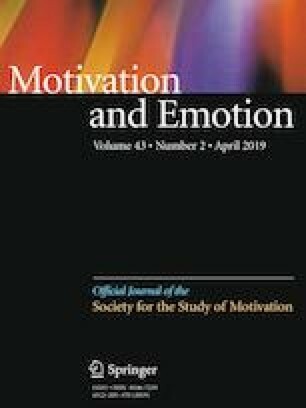 In addition, Study 2 also showed that people with strong approach goals intended to provide more responsiveness when they experienced more positive emotions. In contrast, the negative association between experienced negative emotions and intended responsiveness was stronger for low avoidance individuals than for high avoidance individuals. Our findings highlight that experienced positive and negative emotions may provide different information relavant to an individuals’ intended responsiveness depending on their relationship goals. Funding was provided by Directorate for Social, Behavioral and Economic Sciences (Grant No. 0444129).